Jose qualified as a Physiotherapist from the Jean Piaget School in 2007 and has been working at Physiocomestoyou Ltd in London since 2011. 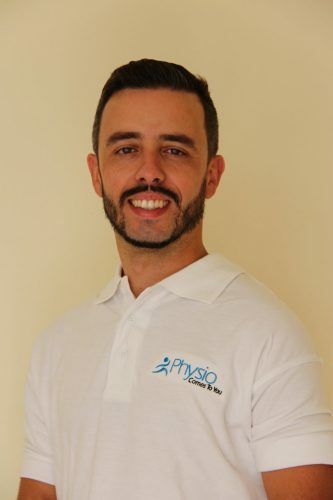 He recently moved back to Portugal and and now manages Physiocomestoyou in the Algarve. He has been working in a variety of Physiotherapy disciplines, specialising in Musculoskeletal, Orthopaedic and Post-operative Rehabilitation. He has also undertaken an Advanced Degree in Osteopathy, which helps him to deliver a skilful, hands-on treatment. He was the Physiotherapist for the Women’s Tennis Association (Algarve/Portugal) between 2007 and 2009, providing high quality rehab for young elite tennis players. A deep understanding of the human body gives Jose the ability to adjust his treatments depending on the patient’s conditions. He has been a team Physiotherapist for a number of sports teams and is a keen footballer in his spare time. Jose regularly undertakes training courses to update his skills.